From Lyons, pass through the main street area on Hwy 66 and take a left at the "T" (next to the Lyons Fork Restaurant) onto Hwy 7 towards Estes Park. For a short time, you will pass by residential neighborhoods of Lyons before heading out of town and entering the South Saint Vrain Canyon area. Shortly after leaving Lyons, you will pass the Hall Ranch open space, which offers 3,000 acres of hiking & biking trails, wildflower, and scenic landscape viewing. 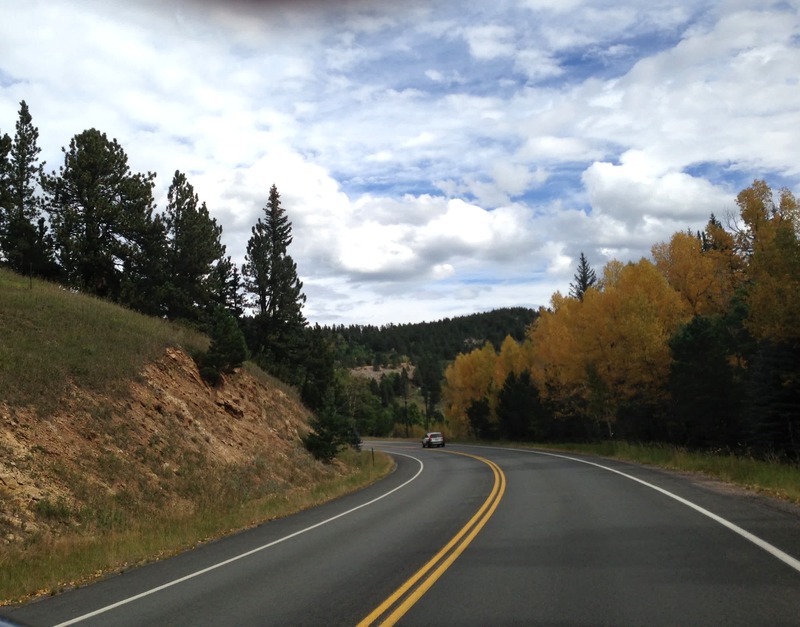 Continuing on to Estes Park, you will drive 14 miles through the beautiful South Saint Vrain Canyon, where you will meet up with the Peak to Peak Scenic Byway, continue straight towards Allenspark/Estes Park. 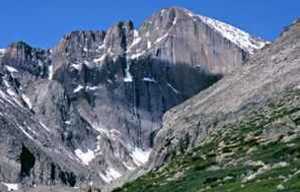 Allenspark, Colorado sits in the shadow of massive Mount Meeker and Chiefs Head Mountain. First visited by Native Americans and later by trappers, Allenspark received its name from the miner, Alonzo Nelson Allen who built the first cabin in the high meadow area. During the late 1890s, Allenspark was inhabited by farmers and ranchers until the early 1900s when gold fever struck. Despite the rush for gold, the majority of farmers and miners found more luck catering to tourists and summer visitors. The town grew when summer residents began building homes from 1900 to 1920 and during the winter months, skiing took off on the nearby snowy slopes. The Allenspark area was a bustling snowy home to international ski jumping competitions and the development of the Rock Creek ski area that operated until 1952.Now a year-round community resides in this sleepy town, worth the short drive through the main street of Allenspark on your journey to Estes Park along Hwy 7. Continue past Allenspark on Hwy 7 towards Estes Park. Take a few minutes to stop in the designated parking area for a photo of the famous Chapel on the Rock. Opened in 1934, the chapel has had many famous visitors inducing Pope Saint John Paul II. 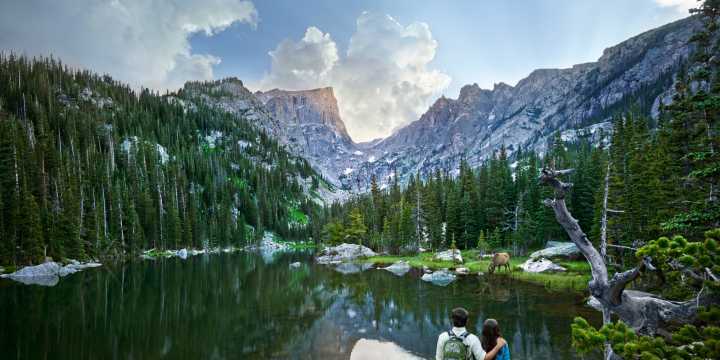 Right before you enter into Estes Park from Hwy 7, stop at the Long&apos;s Peak viewing area for a picture of the famous 14er and then pass picturesque Lilly Lake, which is part of Rocky Mountain National Park. A grand view opens as you crest the hill to descend into Estes Park, see the village from above at this great vantage point. As you enter Estes Park, continue down Hwy 7 to enter the village or take a left at Mary&apos;s Lake Road to reach the west side of town and quick access to Rocky Mountain National Park. For a tasty souvenir of your drive along Hwy 7, stop by Kind Coffee in Estes Park to pick up a package of their limited release, "I survived Hwy 7" blend, while supplies last! 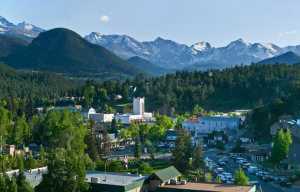 For additional information on how to get to Estes Park, visit our Travel Information Webpage. For the most up-to-date Hwy 36 construction information, visit the CDOT Project Page or call the Estes Park Visitor Center for current directions and travel recommendations at 800-443-7837.